A very true sentiment, however, sometimes singing alone may not be enough or perhaps you are in the mood for something else. Maybe you have some decorators in your house. You know, the tree, the cookies and maybe a wall or two. Give the gift of holiday coloring (on ideal surfaces) to your bundles of joy. We have been releasing coloring pages regularly, but in the spirit of generosity this time we’ve provided 2 different coloring pages. Both drawn by Louis Durrant, the illustrator of “Where’s Its Pair?“. 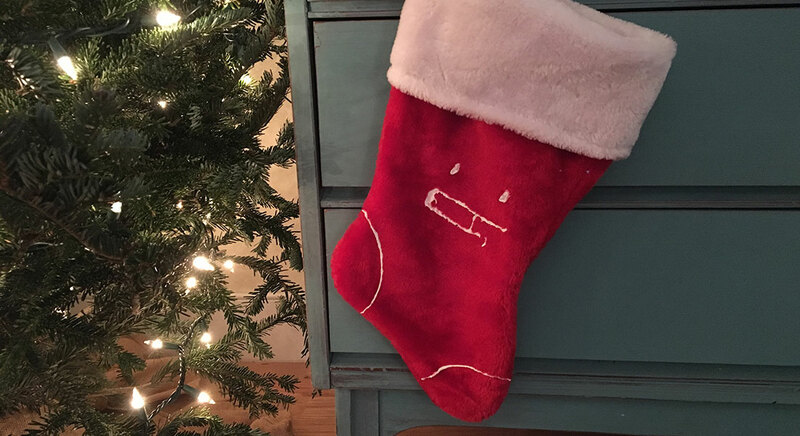 Both of the pages feature sock like characters as Christmas stockings (they’re still basically socks, right?). One page features a large Christmas stocking filled with goodies. The other page has several stockings hung by the fireplace with care. So print them out and get started. You may even want to color a page or two yourself (no judgment, coloring is definitely relaxing and creative). So join the merriment and holiday cheer and kick the coloring into high gear! 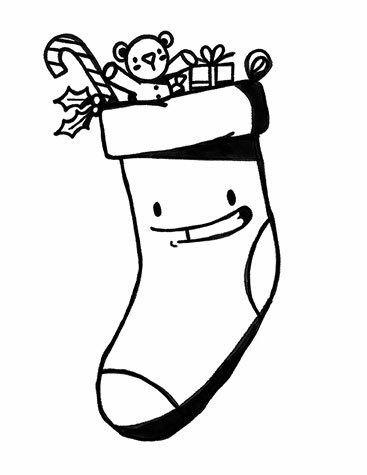 Sock Stocking filled with goodies. Free coloring page. 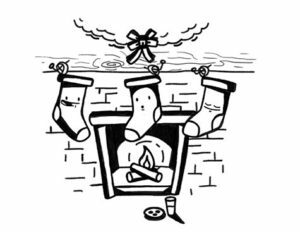 Stockings hung by the fire with care. Free coloring page.